When I was asked by tesco orchard to review the new biolan range I jumped at the chance, I'm trying to eat more vegan meals, more 'raw' food and generally cut out the cr*p I'm putting in my body. 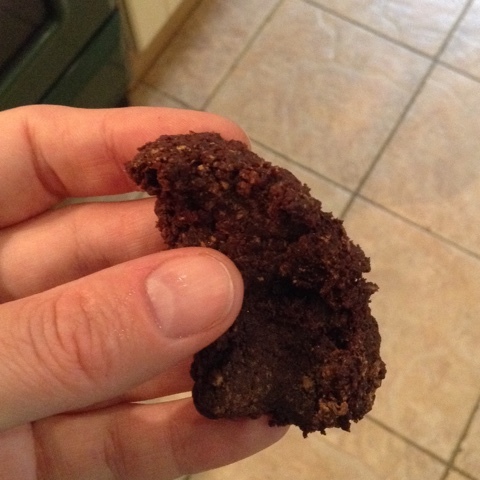 I decided to create my own version of energy balls in the hope that the whole family would enjoy them and we'd all turn super healthy, in reality both The Hubs and T thought they were disgusting but I thought they were really nice and certainly satiated any sweet desire I had. But then, I'm not a huge chocolate eater in the first place. 1. Throw everything into a blender and keep pulsing until everything has mixed together. Yes I'm with you, it looks absolutely disgusting at this stage! 2. 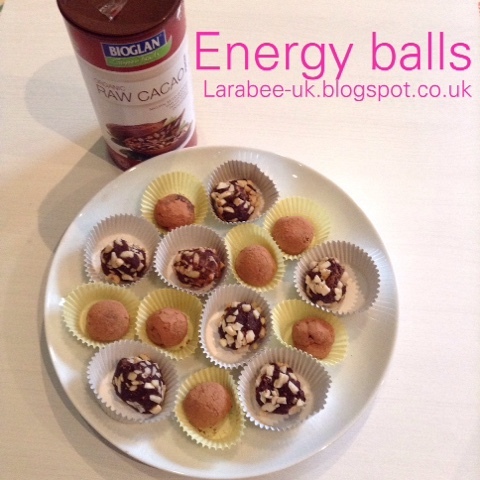 Roll into balls and duet with more cacao or roll in nuts. Keeps fresh in a container for up to a month. And that's it, they do have an acquired fudgy texture but really lovely, great for any sweet cravings and super healthy for you too!